The former hereditary bailiff's office, house number 1 - the present Bailiff's Museum - a building ranking among the National Monuments, is the prettiest and also the oldest building of the feudal system in Kopřivnice. The initial building was wooden and was rebuilt into the present looks by a bailiff, Jakub Schustala, in 1789. The first preserved written record about the bailiff's office in Kopřivnice is from 1676, but it can be presumed that the office was already there at the end of the 13th century, when Kopřivnice originated as a settlement round Schauenstein castle (popularly Šostýn), founded around the year 1290. 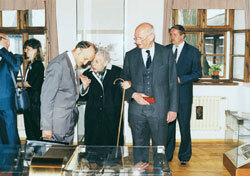 It cannot be proved in a reliable way when the Schustala family got at the Bailiff's office in Kopřivnice. It seems that the family came to Kopřivnice from a close-by Drnholec (now Lubina). The first bailiff to be mentioned is Jiří (Jura) Schustala as late as in 1708 even if we presume that it happened some time around 1670. After his death the office is taken over by Jakub Schustala. We know that in 1725 he married Magdalena, a widow of the Drnholec bailiff, Kristán Křenek. Then it was their son Tomáš who took over the bailiff's office (1735-1802). At this point it is not quite clear whether it was the Drnholec or Kopřivnice bailiff's office as Tomáš was titled "of Drnholec". It is possible that Jakub, for unknown reasons, lost the hereditary bailiff's office No. 1, or maybe sold it when pressed for money. The fact though is that Tomáš bought the Kopřivnice office for the amount of 540 Rhenish guilders from some Jura Kubík as late as in 1755. It probably happened as a result of a marriage of 3rd August of the same year with a nineteen-year-old Apolena Kahánková from Vlčovice, house No. 5, who came from the 11-children family of Vlčovice bailiff, Václav Kahánek. In 1763 a son was born to the wedded couple. Upper line from the left: Josef Schustala (1858 - 1940), his wife: Marie Rašková (1866 - 1945), wedding 1887, children: Marie, Josef, Max, Elsa. Marie Schustalová (1859 - 1942) husband: Robert Křenek (1851 - 1929), children: Vladimír, Bohumila, Robert, Marie, Johanna. Adolf Schustala (1856 - 1921) wife: Marie Rašková (1861 - 1944), children: Paula, Adolf. 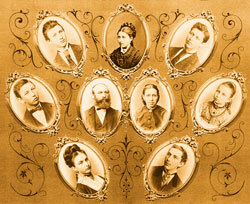 Lower line from the left: Františka Schustalová (1852 - 1919) husband: Jan Hückel (1843 - 1917), wedding 1872, children: Otto, Angela, Františka, Jan, Alfred, Berta, Lisa, Karel. 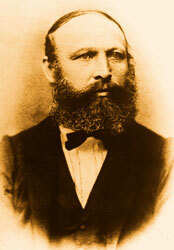 Jan Schustala (1854 - 1899) wife: Julie Fuxová, children: Oscar.